The DNB Vault gets an inside look at some of the top drum and bass labels around the world. DNB Vault talks to the owners of some of the most influential crews providing drum and bass events to the fans. DJ Seen digs into his vault for some of his favorite tunes out now or coming soon. Check out some of the top tunes from drum and bass’s biggest artists. Get reviews of the newest releases in drum and bass by the DNB Vault staff. Nightstalker features his favorite drum and bass tune of the week. Download exclusive mixes and podcasts directly to your computer, tablet or phone from top artists around the world. Grab exclusive free drum and bass tunes from top producers, courtesy of the DNB Vault. View the global drum and bass events calendar or add your own drum and bass event. Join the DNB Vault mailing list to receive VIP news, updates, and free music only available to subscribers. Meet the staff of the DNB Vault and see what we do. LOCKJAW brings his sonic expertise to bear with the release of the HUMAN RESEARCH LP, a significant moment for both artist and label that represents the first album released by both LOCKJAW and his LOCKED CONCEPT imprint. After delivering a taste of the LP earlier in the summer with the “Human Research Sampler EP”, which saw glowing reviews in DJ Mag and Mixmag, LOCKJAW is set to unleash the 12 track project in full, presenting a diverse array of individually unique sonic experiences for the listener. Though diverse, the LP is unified by LOCKJAW’s technically exacting style even as it crosses over into new sonic frontiers. 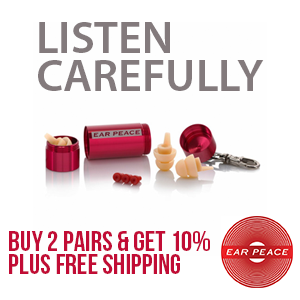 It is these unexpected turns into new auditory realms that most define the LP throughout its body. Whilst LOCKJAW still exhibits the expected full force of his ability within Drum & Bass on tracks such as PASSING FT. CURRENT VALUE, in which glittering cosmic atmospheres collide with mangled metallic bass, he further flourishes this same ability in a variety of unexpected areas. OPTIONS sees these same techniques put to use in a stripped down house track, causing it to reverberate with funk-filled warehouse atmospherics. The wistful aura of A THOUSAND REASONS sets the listener adrift in an experience of cathartic melancholy, as the strums of its guitar seem to tug physically at one’s nerves. Within its final two tracks, EMPATH & THE SPACE BETWEEN US, the album’s themes converge in their most triumphant form. Present here are the cosmic atmospheres of PASSING, the emotional response of A THOUSAND REASONS, and the innovative attitudes of OPTIONS, synthesized into a pair of cohesive audio sequences. From this synthesis rises a final theme, one that pushes ever forwards with singular intent. The reflection provided by these final tracks serves to magnify this theme, as LOCKJAW looks forwards to further exploration within the sonic medium. With the HUMAN RESEARCH LP, LOCKJAW has displayed both his artful production ability and his desire to step beyond traditional bounds, a combination set to bring him to further heights as he continues researching its myriad possibilities. Its here !!! 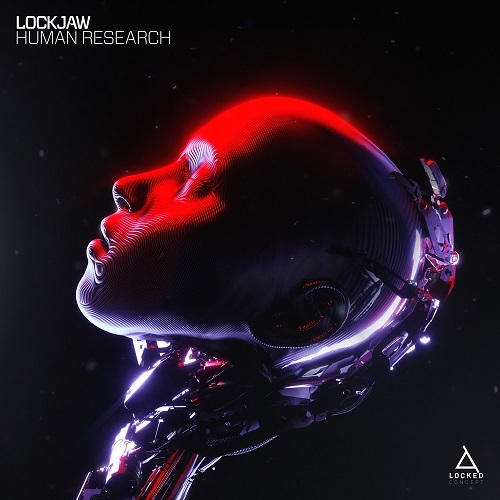 Lockjaw‘s Human Research LP on Locked Concept. This massive full album release that explores the deeper side of music with 12 tracks of mesmerizing sounds and deep heavy bass lines. Along with dark profound soundscapes Lockjaw takes us truly into the full spectrum of his sound. North Base – I’m Forgiving Love ft Ewan Sim & TOP 5 Vocal DNB tunes! Tyke – They Must Come EP & his favorite Playaz Releases of all time! Copyright © 2019 DNB Vault.